This Privacy & Compliance Policy (Policy) sets forth MEDIA PRO WEB.’s privacy practices regarding the collection and use of personal data relating to the Media PRO Web websites named as www.mediaproweb.ie and www.mediaprowebdesign.ie We are dedicated to treating people with respect, transparency and integrity; therefore, we don’t sell or lease your personal data to any third party. Media PRO adheres to privacy best practices, including the Data Protection Acts 1988 and 2002 & the General Data Protection Regulation (GDPR) that complies with international personal data transfer framework requirements of 25th of May 2018. Personal data is data that can be used to identify or contact you, such as your name, email address, telephone number or similar information. Media PRO Web does not keep or collects personal data you voluntarily give us, such as but not limited to, requesting information via our website through our ‘Contact Us’ page. Emails tend to be kept on our secure workstation as a copy/mirror of our personal email server, stored either in Siteground or Pulsant. We also collect information about your interactions with our website and applications (e.g., browsing behaviour). Our website automatically tracks certain behaviour (Usage Data) during visits, such as referring/exit URLs and we also collect other basic information about you which does not directly identify you, however, which may correspond with you. We use this information to learn more about how our website is used and to otherwise improve and administer the site. We also use this information to enable us to deliver information tailored to your interests and preferences, based on your use of the website. We use certain information about individuals (who have voluntarily provided it to us through our ‘Contact Us’ page) in order to contact them about their challenges and our services and how we can help them. We also collect information to better understand how visitors use this website and to present timely, relevant information to them. In general, you can visit the website without telling us who you are or providing any information about yourself through our ‘Contact us’ page. In these instances, Media PRO Web will ask for your name and/or company name, e-mail address, contact number and other appropriate information needed to respond to a query or provide you with specific services. Collecting this data helps us understand what you are looking for from the organisation, enabling us to deliver improved, tailored services. Like most websites, we gather information on an aggregate basis of all visitors to our website. This non-personal data comprises of information that cannot be used to identify or contact you, such as demographic information regarding, for example, browser types and other anonymous statistical data involving the use of our website. Nothing. We will never lease, distribute or sell your personal information to third parties unless the law requires us to. Any personal information we hold about you is stored and processed under the Data Protection Act 1998, 2002 and GDPR. We will always hold your information securely on our server(if any is being stored.) We operate our website via HTTPS protocols for extra safety. To prevent unauthorised disclosure or access to your information, we have implemented strong physical and electronic security safeguards. Our websites raise alarms/flags when any modification occurs without our design team’s input. An email is sent to the webmaster if someone tries to breach the access to the website. We also follow stringent procedures to ensure we work with all personal data in line with the Data Protection Act 1998, 2002 and GDPR. However, there is a certain circumstance where we may share your personal data without additional notice to you and that is to our IT Contractor to enhance and improve our website, who too has GDPR Compliance measures in place. Other Internet sites and services have separate privacy and data collection practices. Once you leave our websites URL’s Media PRO Web cannot control and has no responsibility for the privacy policies or data collection activities of other websites. Our website may contain links to other websites. Please note that we have no control over these links to other websites either. If you provide information to a website to which we are linked to, we are not responsible for its protection and privacy. Always be vigilant when submitting data to websites. Read the respective website’s policies fully. Just cookies and email on orders. Order related data. All orders are deleted on completion. Also, we do not store an email database or customer details. We are a small company so we can commit to memory everyone that works with us. When visitors leave comments on the site we collect the data shown in the comments form, and also the visitor’s IP address and browser user agent string to help spam detection. However, only active customers can post comments. That means they will accept their email to be part of our website forums. Our contact forms do not store the details completed. We just get 1 email with the content of your communication. Cookies do not provide us with access to your computer or any information about you, other than that which you choose to share with us through our ‘Contact Us’ page. More information about cookies and details of how to manage or disable them and to learn more about cookies and how they are used can be found on www.aboutcookies.org. Our website will have information posted about cookies and when a cookie will be uploaded to your computer. Media PRO Web and our hosting partners use a variety of technologies to facilitate the delivery of services to you through our website and to understand and preserve your personal preferences. Use of these is governed by our Policy or the policy of the third party providing the service. Media PRO Web. may, in its sole discretion, occasionally review, revise and /or update this Policy by posting the amended Policy on this website. We will notify you prior to any significant changes, when and where required, or material Policy changes via your email address or by a website notice. This Policy was last updated on Monday, May 28, 2018. We will not use your existing information in a manner not previously disclosed. We retain your information while we are communicating with you, whether it be through e-mail, telephone or by post or as needed to provide you with services. While your personal data is required we a safe and secure hosting environment to protect it. 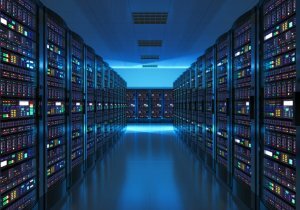 Our hosting company, LiquidNet LTD. Is storing all our documents and data in their secure Pulsant Datacenter in Scotland. This is a 24/7 supervised service and no attack is possible without attracting the attention of the engineers in the data centre. Usually in less than one month after you supply your information to our website through our ‘Contact Us’ page, it is deleted by us, and we tend to update extremely fast, to keep the websites extremely secured. Media PRO Web takes personal data security seriously. We use reasonable and appropriate data protection measures, such as robust technologies, security policies and procedures, to reduce the risk of misuse, alteration, accidental destruction or loss and unauthorized disclosure or access to our systems and data. For example, we encrypt the transmission of sensitive information using 256kb Encryption. All passwords stored in our websites databased are MD5 encrypted. We follow GDPR and industry standards and best practices to protect your personal data during transmission and once we receive it. Unfortunately, no security method is 100% secure and we are aware that very skilled hackers or evildoers are out there, therefore, we cannot guarantee absolute security. However, we carry out every effort to keep your personal data that we have received from you through our ‘Contact Us’ page secure. We employ the services of Google Analytics to help us understand how our marketing efforts are successful and how are our websites being used. Google might track customer behaviour in their end, but we do not. We analyse in general how many visitors we had, so we know how to work on our marketing. No personal or individual data is processed, collected, tracked, stored or sold. If you leave a comment, the comment and its metadata are retained indefinitely. This is so we can recognise and approve any follow-up comments automatically instead of holding them in a moderation queue. We, in general, delete most comments as this is not really a forum. It is a company website. For more interaction visit our social media area. If you have an account on this site or have left comments, you can request to receive an exported file of the personal data we hold about you, including any data you have provided to us. You can also request that we erase any personal data we hold about you. This does not include any data we are obliged to keep for administrative, legal, or security purposes. We do track and record all attacks of any known type. At times, when we consider we gathered enough data, we may share our findings with the police. [email protected] or call us directly on 091 450 812. We are hosting the website in Pulsant, a data center known to be very secure, in Scotland, UK. This is done via our Irish Hosting Partner. Since no personal data is being stored, we try to comply as much as we can with the hosting services and follow their data breach procedures. In case we lose any personal information, our policy is that we will announce the police about this and all of the users holding present data on the website will be notified of this occurance. Fully transparent. IT IS NEVER OUR WISH to disclose any data to any party. No third parties. are involved other than the hosting company, LiquidNet ltd operating Irish Hosting. No automated decisions or profiling occurrences are set. We are compliant with the new GDPR and cookie policies. Links to these are available on our website. Our GDPR Compliance Website document is created with the help of our GDPR Galway Service.